Search all seminars by Curriculum, Title, Location, etc. 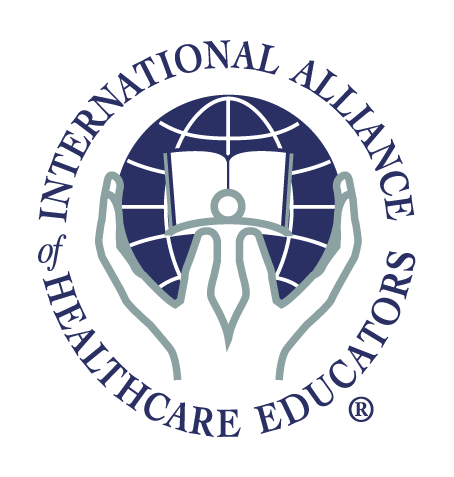 Stecco Fascial Manipulation is pleased to work with the International Alliance of Healthcare Educators (IAHE) to process our online registrations and provide our product fulfillment. The Fascial Manipulation® course program consists of two two-level intensive hands-on courses, combining theoretical lectures, demonstrations, and practice between participants throughout each course day. Participants will learn to evaluate musculoskeletal dysfunctions with specific reference to the human fascial system, and to apply the Fascial Manipulation® method as taught by Luigi Stecco, PT. Lectures include the anatomy and physiology of the fascial system, an explanation of the biomechanical model used in application of this technique, and the anatomical localization of key fascial points. Emphasis will be placed on the evaluation of musculoskeletal dysfunctions (from history taking, to a hypothesis, to a verification and treatment) together with a methodology and strategy for treatment. This course series consists of two levels: FM1: Level 1 Fascial Manipulation® and FM2: Level 2 Fascial Manipulation®. Each level is divided into two parts, FM1A and FM1B, FM2A and FM2B. Successful completion of FM1A and FM1B is required before being able to attend the FM Level 2 courses. Completion of the FM Level 1 does provide clinical proficiency for a wide range of common dysfunctions. When committing to attend Level 2, you will have access to attend FM1B. FM1B is only available to those students who have committed to FM2A and FM2B. Each level is designed to give participants adequate time between the A and B levels to practice the newly acquired assessment and treatment techniques before returning to the second half of the course for fine-tuning of the method. The FM Level 1 Fascial Manipulation course consists of two three-day courses. Course FM1A will review the basic principles of Fascial Manipulation, including an introduction to fascial anatomy, and the biomechanical model employed in this method. The myofascial units that form the myofascial sequences of the upper limbs, trunk, and the lower limbs in the sagittal and frontal planes will be presented. The Assessment Chart used in Fascial Manipulation will be reviewed in detail. Course FM1B will consist of the physiology of the fascial system and the assessment and treatment of the myofascial units for the upper limbs, trunk, and the lower limbs in the horizontal plane. At the completion of FM1B all participants will be capable of utilizing the Assessment Chart for a 3D examination of the human fascial system. Proficiency in the comparative examination of Centers of Coordination will be stressed, as well as streamlining of treatment strategies. In the FM-2 Level 2 Fascial Manipulation courses, participants expand on their understanding of the biomechanical model to treat patients with multi-segmental dysfunctions more efficiently. As part of the learning process, Level 2 students will be required to present Assessment Charts of cases treated after Level 1 for discussion. Course FM2A will focus on the role of Centers of Fusion as part of the biomechanical model and the formation of Myofascial Diagonals. Elements of comparative anatomy studies will be introduced to assist the evaluation of adaptive compensations within the fascial system. The involvement of fascia in motor control will discussed and the Assessment Chart used in Fascial Manipulation© will be updated with new elements. Course FM2B will introduce the Myofascial Spirals to complete understanding of complex movement patterns and mechanisms and the latest fascial research projects will be presented. Numerous treatment demonstrations and practice will highlight this course as comparative assessment of Centers of Coordination and Centers of Fusion, Assessment Chart analysis, clinical reasoning, hands-on skills, and treatment strategies will be emphasized. Stecco Fascial Manipulation teaches how to evaluate musculoskeletal dysfunctions with specific reference to the human fascial system, and to apply the Fascial Manipulation method as created by Luigi Stecco, PT.